Clip-in hair extensions are a great option for adding length, highlights texture, and volume to your wedding day hairstyle. Clip-in’s are great because they are affordable, do not cause damage to your hair, and they are temporary so you can simply put them in for your big day and remove them for your honeymoon. Here is a short guide to clip in hair extensions for your wedding day. Jessica Simpson shows the fun and versatility of extensions. 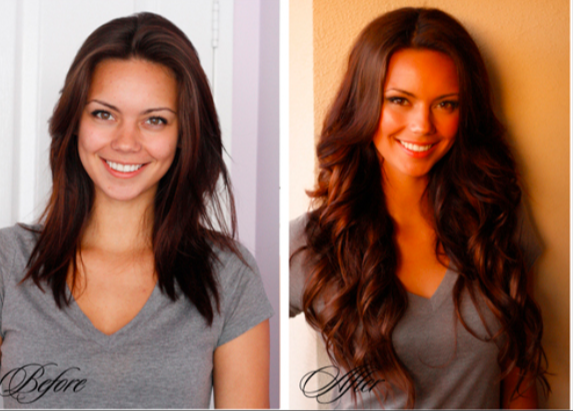 You can purchase clip-in extensions from your local beauty retailer, certain salons, or you can find them online. 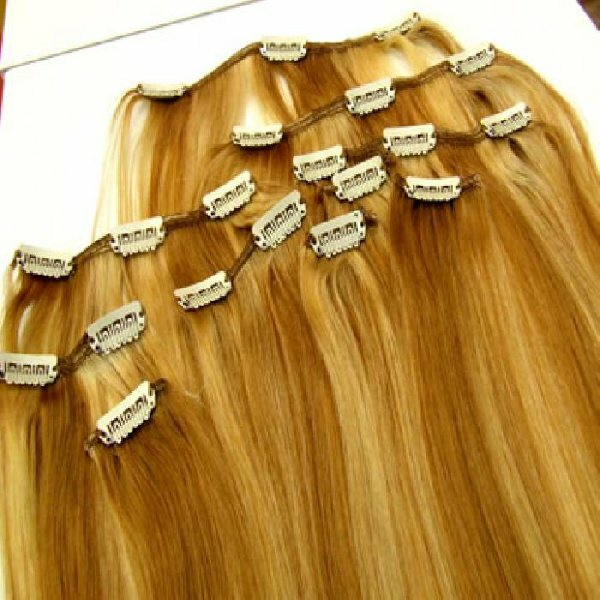 Hair extensions are synthetic, 100% human hair, or blended. Human hair clip-in extensions last longer, dye easily, and don’t melt under temperature like synthetic clip-ins. You also have to decide if you prefer a weft hair or single strand. The weft is a track of long hair that is sewn together and then applied near the roots of your hair. 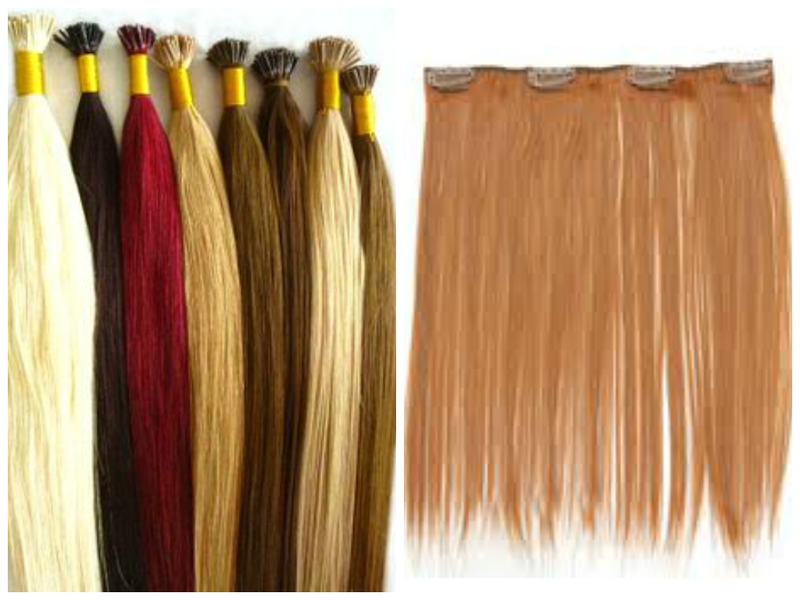 You can purchase several wefts and take them to your tailor and have them sewn together for a cost-effective clip in. A single strand comes by piece by piece and is applied in small pieces where needed and as much as needed. This can be quite time consuming but it gives your hair a more natural look. Tip: Purchase a color one or two shades lighter than your natural hair color. This can be a great way to add dimension but it is also easier to dye extensions darker than lighter. How Much Hair Extension do I Need? This depends on the final result that you are seeking as well as your natural hair. However, as a general rule of thumb women need about 100-120 strands or if you are purchasing a weft than 2-4 ounces if you simply want to add volume should be plenty but if you want to add volume and length than you might need 6-8 ounces for a full and longer look. Clip-in extensions are typically sold in 4-ounce packages. Long hair for your wedding day with extensions. If this is your first time wearing clip in extensions or any type of extensions than it’s a good idea to purchase them a few weeks in advance. You should try them on at home for a little while to determine if you actually like the look. Once you have determined that you have, don’t hesitate to wear them out for a few weeks, this will get people use to the idea of your long hair so it doesn’t look out of place on your wedding day. Finally, always take your extensions to your wedding day hair stylist so that you can create a look that you love and look great with your extensions. Hairspray the base: You want your extensions to have a good hold so it’s a good idea to tease the roots where you will clip in the extensions and then use a medium or strong-hold hair spray. Up do: If you plan on wearing your hair up on your wedding day then clip the extensions in upside down and close to your roots. This will hide the clip underneath a few layers of hair and the extensions will be facing the correct way. Tease the spots near the extension to guarantee the clips will be hidden during your entire special day. Curls or Waves: If you are going to wear your hair curly or wavy then it’s a good idea to lightly dampen your extensions the night before and as they are drying take large rollers (preferably sponge) and let them curl overnight. This will help guarantee that your extensions have a natural-looking texture, particularly if they are synthetic. Cut: It’s better to avoid blunt-cut extensions because they do not offer the same great volume or shape that a layered hair extension would have. Ask your stylist to cut them to fit your look and hair texture. Color: Purchase a color one or two shades lighter than your natural hair color. This can be a great way to add dimension but it is also easier to dye extensions darker than lighter. Another great idea is to try multicolor extensions (7-11 shades). These are hand blended to have the natural colors of your hair. This will also add dimension and highlights/lowlights to your real hair color. Add color and dimension for your wedding day. Clip in extensions are a simple and effective way to get a wedding day hairstyle that you will remember forever. If you are looking for an affordable way to get length, volume, and color for your wedding day than clip ins are the best option. 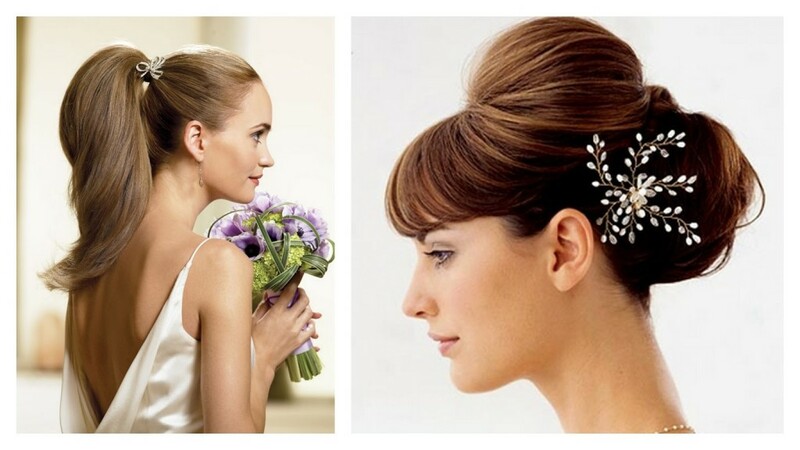 Remember to have a trial run before committing to clip-ins for your wedding day hair.